There are many lessons that I have learned over the years that I have carried with me consistently and used them on many levels. Some are a bit bitter sweet and others are priceless in their value. The one that consistently humbles me is when you are able to be there for someone who does not want a solution, they just want an ear to listen. I can say that I did not get this for quite some time. Even when I needed it, I did not position myself correctly to receive it as such. Having an internal conversation with yourself is miles different, than releasing it into the air to someone that you love and/or respect. I tend to be quite loquacious and full of energy, but that is not always what is needed. It is said that the wise man or woman seldom speaks. They glean more from listening than by offering their knowledge and personal insight and perspectives. I have experienced both sides of the coin and I can find calm in both. However, being a little quieter seems to be more productive in the end. You can learn so much about everything from just listening. It's fascinating and never ending for sure. There will always be other angles to explore. 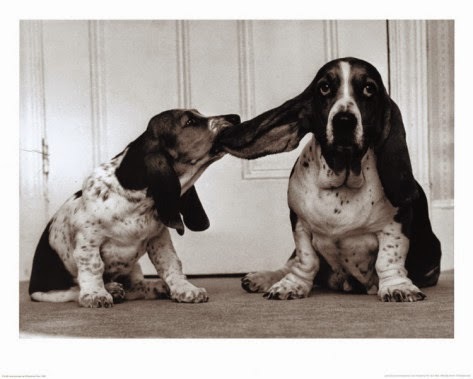 When was the last time you really lent someone your ear? Meaning just listening and not waiting for the moment to add your opinion? Can you say that you do that regularly or at all? What does it mean to you when someone listens so attentively to you that you have to call their name to see if they are still on the other line? Has that ever happened to you? Either way, it's a question that I have been asking more lately. After reading this, just close your eyes for 5 minutes and just listen. When you are done, ask yourself what did you hear? Was it your own voice or the voices of others around you? Either way, what you hear is most probably exactly what you were meant to hear. Be well.